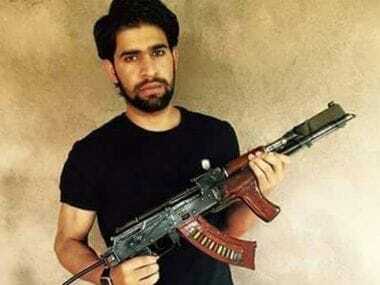 A week after two unidentified gunmen killed former militant commander and separatist leader, Mohammad Yusuf Rather, shooting him dead inside a passenger vehicle, the police is investigating claims made by Al-Qaeda's Kashmir head, Zakir Musa, that the killing was carried out to warn Hurriyat parties against pursuing secularism. Rather, who was associated with Hurriyat (G) chairman Syed Ali Shah Geelani for the last 14 years, was killed by two gunmen on Saturday, when he was travelling from Beerwah in Budgam to his house in the same district. Two pistol-wielding men who were sitting in the back seat of a vehicle fired at his head and later fled from the place. A shutdown was declared in Kashmir, after which Musa allegedly released an audio file claiming that he ordered his men to kill the Hurriyat leader. He also said that Kashmir's battle will not be political but in order to establish the rule of Islam. 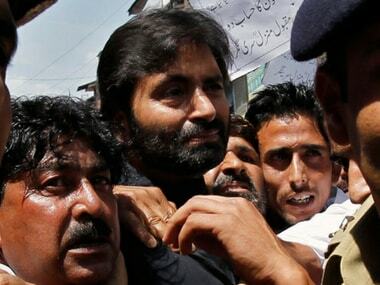 "These dishonest Hurriyat leaders don't understand. If they want to run their politics, they shouldn't become a thorn in our way, or else we will chop off their heads and display them at Lal Chowk. This is why we had to kill Mohammad Yusuf Rather," he can be heard saying in the audio clip. "Our Kashmir's battle is for ensuring glorification of Islam and we will establish the Shariah system of Islam. My appeal to all who want to enforce religion is that it should be followed first by oneself. We should become dear to Allah and tie the rope of the Almighty with strength and not repose faith on anyone else," he added. Musa is the head of Al-Qaeda affiliate Ansar Ghazwatul Hind, and the fresh audio release came a few months after he had accused Pakistan of "back-stabbing militants", following US' attack on Afghanistan. In his previous audio message, he had said that even as foreign militants were fighting in Kashmir, the Pakistani government got militants killed, and even closed the training camps. Deputy inspector general of police, Central Kashmir Range, Ghulam Hassan Bhat, said that a case has been registered after Rather's killing, and they are looking into the audio clip as well. "We are also going through call records of the deceased, and have questioned the driver in whose vehicle Rather was heading home," Bhat said. According to police officials, two pistol-wielding persons were sitting in the back seat of a vehicle on 13 February. At around 4.40 pm, they fired at Rather, killing him immediately. The police then handed over his body to Rather's family members, after which a case was registered. However, Geelani and two other members of the Joint Resistance Leadership (JRL) — a joint forum of separatists — Hurriyat (M) chairman Mirwaiz Umer Farooq and JKLF chairman Mohammad Yaseen Malik, blamed government agencies for the killing. In his statement, Geelani said, "The assassins are enjoying the full support of their sponsors, and a territory which is controlled by seven lakh armed people roaming with lethal weapons, can never be a safe place" for people like Rather. Hurriyat (G) spokesman Gulam Ahmad Gulzar said that as the general secretary of the separatist outfit Tehreke Wahadati Islami, Rather was associated with the Geelani-led faction since 2004. He said that he was the deputy chief commander of the now non-existent militant outfit Hizbul Momineen in the early 1990s before he joined the separatist conglomerate. "He was an important Hurriyat (G) leader and a member of our executive council," he said. 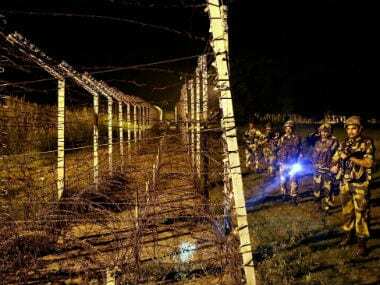 Meanwhile, Rather's killing has further deteriorated the security situation in Kashmir, with the Hurriyat blaming the incident on "Indian security agencies". Gulzar said that the government was "using" security agencies for killing the separatists to thwart Kashmir's "freedom struggle". Police officials said that Gulzar was also working as a section officer in the power development department, even as he remained associated with the Hurriyat (G) chairman. 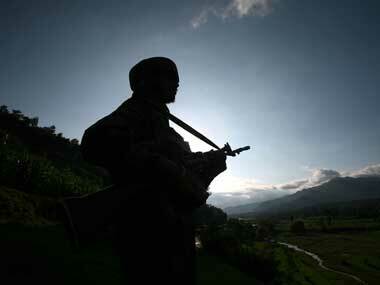 He was working a few kilometers away from his Budgam residence, said a police official. Gulzar also said that the fresh audio "may have been doctored by the Indian agencies to create a wedge in the Kashmiri society". 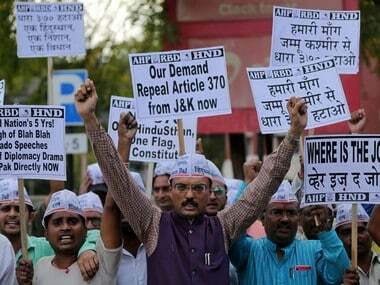 However, while Musa claimed responsibility for the killing, a senior police official said that Rather has earlier been detained for anti-India demonstrations during protests in 2008 and 2010, which were ignited over the transfer of land to the Amarnath Shrine Board and the killing of three civilians in a fake encounter.